Steve’s breakdown: Gluten free food company, Pamela’s Products, is getting its pasta on and their going to have to get the word out. Pamela Giusto-Sorrells is the founder and she might be open to a few ideas if you’re a pasta kinda agency. Yeah – that’s her right there. UKIAH, CA: Gluten-free category leader Pamela’s Products is launching a line of pastas and pasta meals for its legions of loyal gluten-free fans starting this month. Best known for its top-selling gluten-free baking mixes and ready-to-eat snacks, Pamela’s is bringing fans what they’ve been asking for: a selection of delicious gluten-free pastas that are just as good—or even better—than the traditional pastas from their childhoods. After months of tireless testing and recipe refinement, founder Pamela Giusto-Sorrells landed on a recipe that delivers exceptional taste and texture every time. Made with white rice flour and sprouted brown rice flour sourced from trusted farmers growing Non-GMO Verified crops, Pamela’s new USDA-certified organic dried pastas offer plant-based protein derived from peas, bringing consumers 8 grams of protein per two-ounce serving. Rolling out nationwide starting in August, the dried pastas will be offered in four varieties – Penne, Rotini, Elbows and Spaghetti – each with a suggested retail price of $4.29 per 8-ounce box. Fans of quick and easy meal options will rejoice as Pamela’s will also offer pasta meals featuring the new gluten-free organic pasta paired with flavorful sauce packets made with 100% real cheese. Mac N’ Cheese, Spicy Mac N’ Cheese, Creamy Alfredo and Creamy Mushroom each boast rich flavors fit for kids and adults alike. These gourmet meals, which provide a satisfying 13 grams of pea protein per 2 oz. serving, will be available nationwide starting early this fall with a suggested retail price of $4.79 per 5-ounce box. 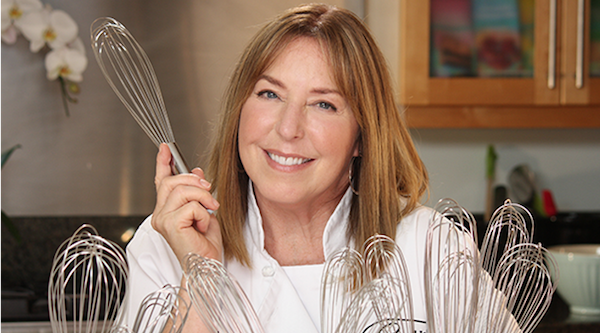 A third-generation baker who is committed to making delicious foods for gluten-free consumers and more, Pamela’s Products founder Pamela Giusto-Sorrells has been making gluten-free foods since 1988. To this day, she personally develops each of the products that bear her name, often basing them on consumers’ desires and needs. Giusto-Sorrells has created some of the best-selling gluten-free products on the market including her top-selling baking mixes, cookies, snack bars, and graham crackers. Pamela’s Products can be found in natural food and grocery stores throughout the U.S. and Canada, as well as online. For additional information about Pamela’s Products, including recipes, baking and allergy information, visit PamelasProducts.com or find them on Facebook, Instagram and Twitter.